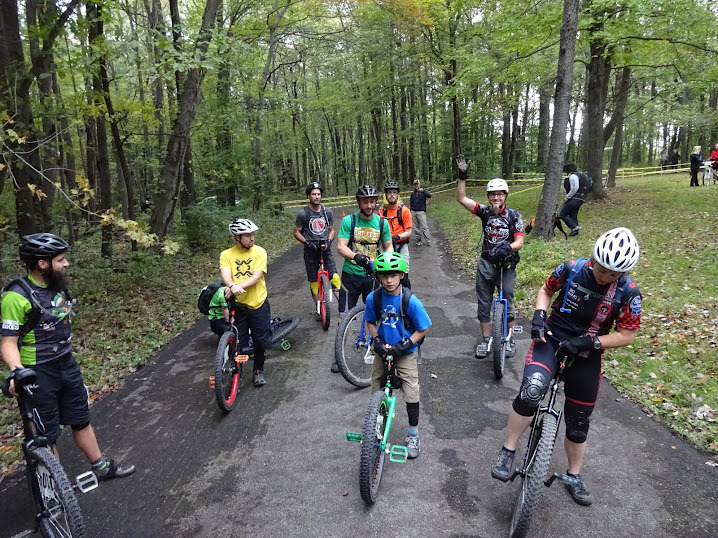 Last Saturday was the first Y unicycle gathering of 2011. We were down a few regulars, but up 6 first time riders! They all practiced hard and made a lot of progress towards being able to ride. We've been thinking for a while how to ride locally and encourage globally so we're launching an informational series about - you guessed it- unicycles. (Are you actually surprised?) If you're looking for a bunch of extreme riding synced to hip soundtracks you'll probably be disappointed. We're going with a more documentary style approach that will attempt to put all things unicycling in one spot without a lot of extra frills (for now). If your interest is piqued, join us Saturdays from 4:30 to 6:30 pm at the Butler Y.